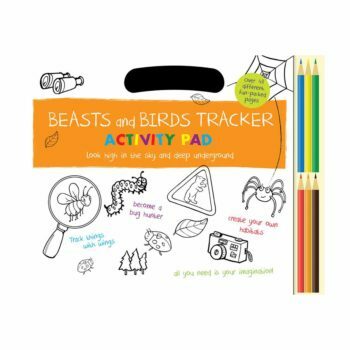 Beasts and Birds Tracker Activity Pad Babalu Products. Look high in the sky and deep underground, letting your imagination run wild. Activities guide you through an exploration of things with wings and legs.With a carry handle, 6 pencils and 48 tear-off sheets. Bee Buzzybody! Babalu Products, New Products. 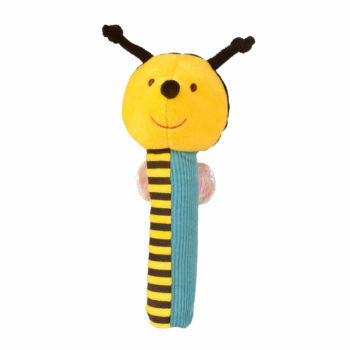 Bee Squeakaboo- NEW Babalu Products, New Products. Babies are delighted with this soft plush toy that is easy to grip! Bright patterned handle, friendly face and fun squeaks, rattles and crinkles sounds when gently squeezed- what is there not to love! 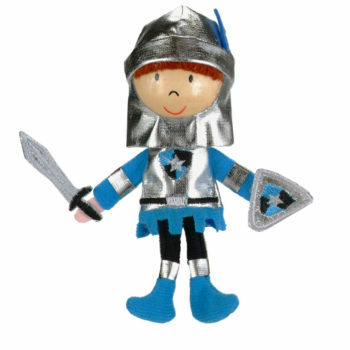 Blue Knight Finger Puppet Babalu Products, Finger Puppet. A delightful addition to storytelling and fantasy play! All our finger puppets are unique in that they feature a wooden head and hand painted face. Charmingly styled with a detailed fabric outfit. Approximately 5″H. 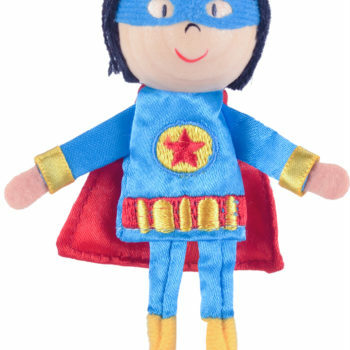 Boy Hero Finger Puppet Babalu Products, Finger Puppet, New Products. A delightful addition to storytelling and fantasy play! 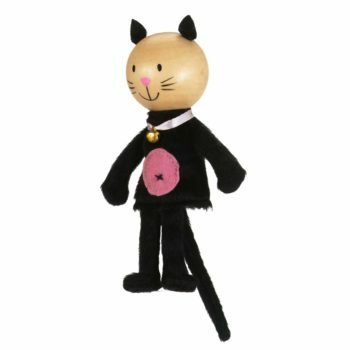 All our finger puppets are unique in that they feature a wooden head and hand painted face. Charmingly styled with a detailed fabric outfit. Approximately 5″H. Ages 3+. 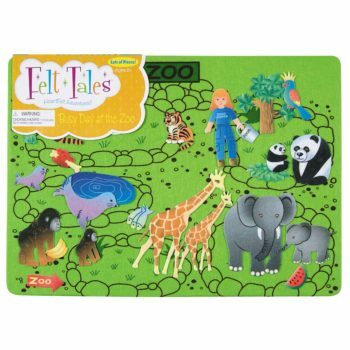 Busy Day at the Zoo Felt Tales Babalu Products, FeltTales. Themed story boards provide kids with the quiet, cooperative play where imagination rules! The vibrant felt pieces, 20+ with each set, gently adhere to the 14.8″ x 10.75″ printed felt play-board to form an interesting scene that stimulates creative storytelling. Kids rearrange the figures, animals and accessory pieces in endless ways for open ended play. Great for travel. Ages 3+. Add a splash of whimsy to a rainy day! 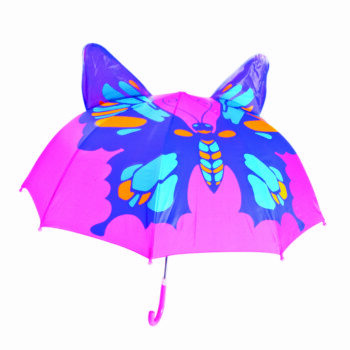 Playful butterfly wings take shape on our unique children’s umbrella. Each is 18″D with bright handles and tips; safely constructed to avoid pinched fingers. 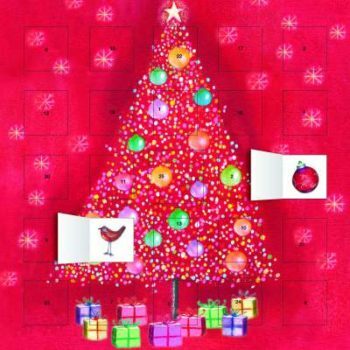 Calendar Blue- Small Babalu Products. This colorful calendar encourages an understanding of concepts of time. 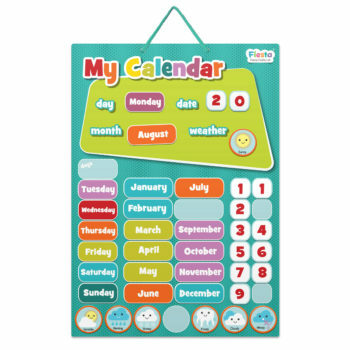 The 8″ x 10.25″ perpetual calendar uses magnetic pieces for the day, month, weather and special events. Blue. Carry Case Finger Puppet Theatre Babalu Products. 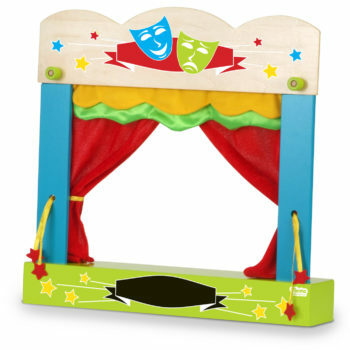 This wooden puppet theater is ready to go anywhere! Just slot the stage parts together, slip on the curtain and let the show begin! Use the mini chalkboard to announce show times. Enough storage space to bring your finger puppets along! Cat Buzzybody! Babalu Products, New Products. 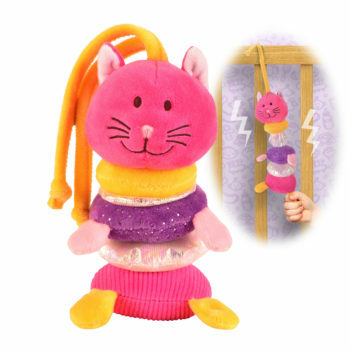 Cat Finger Puppet Babalu Products, Finger Puppet.